Well this week was the latest Doctor Who sale at Bonhams, and on Sunday I went along to the viewing. The write-up below features the Seventh Doctor items, and I have written about the other Doctor eras under the appropriate blog. As well as a lot of New Series stuff, there was a good showing of McCoy era items too. One of the items gaining a lot of interest was Ace’s bomber jacket, covered in all its badges and patches (see right). Sadly a number of the patches and badges appeared to be missing, but it was still pretty well covered, so I took advantage of the opportunity to get some detailed close-up pictures of what did remain. Here are some of my detail pictures (see below). Next to where the Ace jacket was displayed was a glass case with some of the smaller items on offer. Down the far end, on the top shelf, was Syvester McCoy’s hat with hatbands (see right). 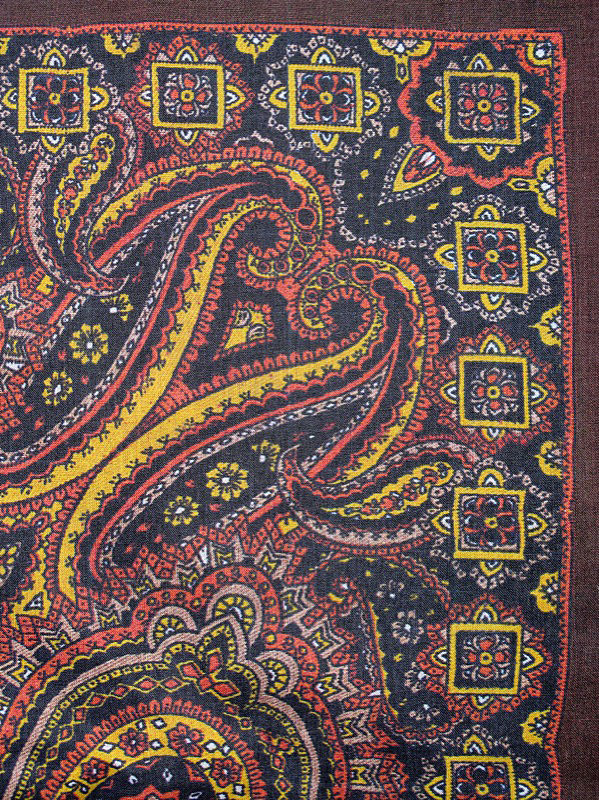 The lot came with two loose red hankies and a brown hanky around the hat, making a total of three, despite the catalogue showing and only listing two. 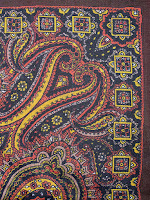 Also in the lot is a purple striped scarf, which as far as I understand it, was only worn for a few seconds in Time And The Rani as a substitute Season 18 scarf when The Doctor is choosing his wardrobe. Representing the Seventh Doctor were the Cheetah people from Survival (see below, left); The Kandyman from The Happiness Patrol (see below, centre); Mordred’s armour from Battlefield (see below, right). Elsewhere there were some Haemovores from The Curse of Fenric; some clowns and a God of Ragnarok from The Greatest Show In The Galaxy (see below). 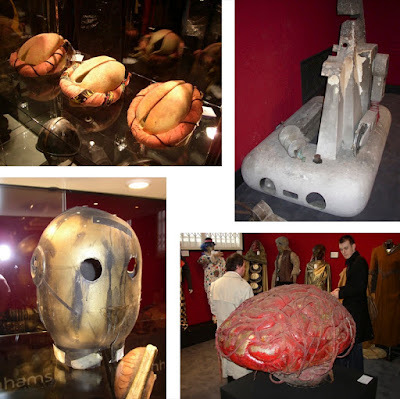 From Time And The Rani, there were some Lakertyan costumes (see below, top left) and the Time Brain (see below, bottom right); the Cleaning Machine (though heavily fire damaged) from Paradise Towers; and the Bus Conductor’s head from The Greatest Show In The Galaxy (see below, bottom left). And that wasn’t all! There was a nice display of various Cybermen, some of whom had appeasred in Silver Nemesis (see left). There was some dispute as to which had appeared in what episodes, with some of them being a marriage of more than one original costume, which had happened both during production and since. 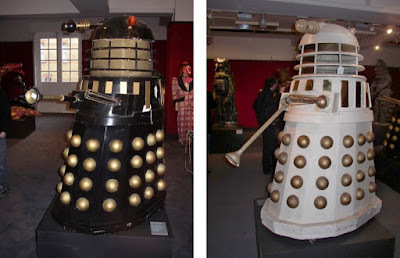 Finally there was also a number of Dalek related items form Remembrance Of The Daleks, including the Dalek battle Chair, the Dalek Transmat and two full-sized Daleks, though one had been conciderably repainted since (see below, left). Also running was a decaying Tetrap from Time And The Rani; A Dragon Head from Dragonfire; and a Navarino from Delta And The Bannermen. A lot of these items look like they were taken from the Doctor Who exhibition which recently closed here in Blackpool.